Summer at the lake is as Minnesotan as one can be. And, fishing for walleye, well, that’s a true Minnesota experience. According to the Minnesota Department of Natural Resources, walleye is the most sought-after fish in Minnesota. 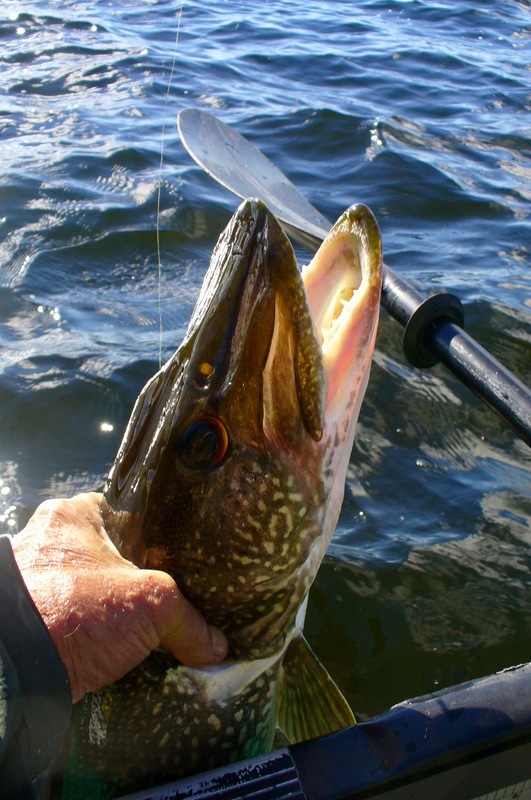 On of the best places to fish walleye is the Boundary Waters Canoe Area in the most northern part of the state. Walleye lovers are always looking for a great recipe to showcase the thick white fillets, whether it is baked, broiled, fried or grilled. I’ve prepared the Gunflint Walleye in the past and it’s a special treat for those who prefer not to fry their fish. The recipe comes from the Gunflint Lodge on the Gunflint Trail north of Grand Marais in northern Minnesota. The lodge has been sold since I acquired this recipe, so I’m not sure if it’s still served in their restaurant anymore. Anyways, this tasty dish lives on! Spray a 15X10X1 baking pan with nonstick cooking spray. In small saucepan, melt butter and stir in garlic and lemon juice. Rinse fillets. Cut into 6 servings, if necessary. 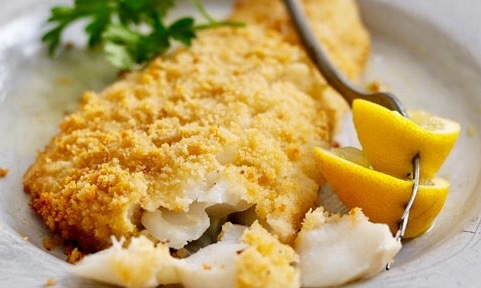 Sprinkle fish with Romano cheese and cover with bread crumbs. Drizzle the fish with any remaining garlic-lemon butter. (Fish may be prepared to this point, covered and refrigerated up to 1 hour). Bake in 450 oven for 10 to 12 minutes or until flakes easily. Transfer fillets to warm serving platter and enjoy!